Brief summary of venue Access to Fernkloof is through Bergheim Resort in northern Magaliesberg, close to Rustenburg. 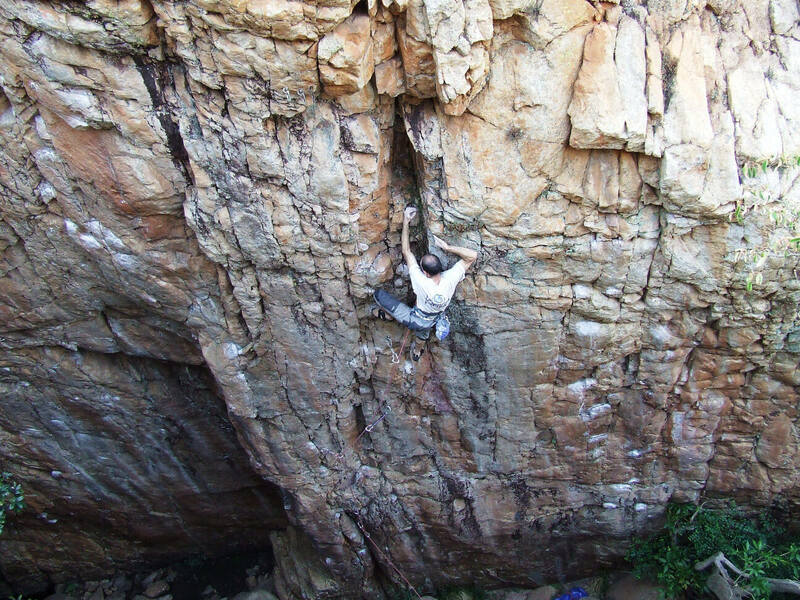 The kloof has both easily accessible sport routes and hard to access traditional climbs. 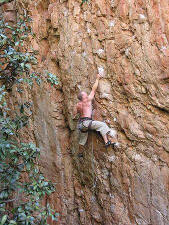 The sport climbing area is a narrow gully with a stream, offering wonderfully cool conditions in summer. The good climbing, however, starts at grade 24 so is most suitable for advanced climbers. The traditional area, however, has over 50 routes of moderate difficulty. It is suitable for all MCSA members who are willing to put in the “leg work” to get there. Permit/ permission info Upon arrival at Bergheim Resort, you must either sign the register at the gate or go into reception if you intend staying overnight. MCSA members pay R25 per person for daily permits, while non-members pay an additional R20 per car. Parking information Parking is on Bergheim premises. Best is to find a shady spot close to the trail that leads to the kloof. Info on walk in The walk in to the sport climbing area is an easy 15 minute hike with minimal boulder hoping. The hike to the traditional climbing area is steep and hot while the descent can be tricky and wet. Accommodation Bergheim offers both camping and chalets. As of 2012, MCSA members pay R45 per person per night for camping (braai, good ablutions with hot water) while non members pay an extra R20 per car. Self catering chalets costs vary from R340 (2 people) to R950 (6 people) per night. Availability of water for drinking Water is available all year round from the stream. 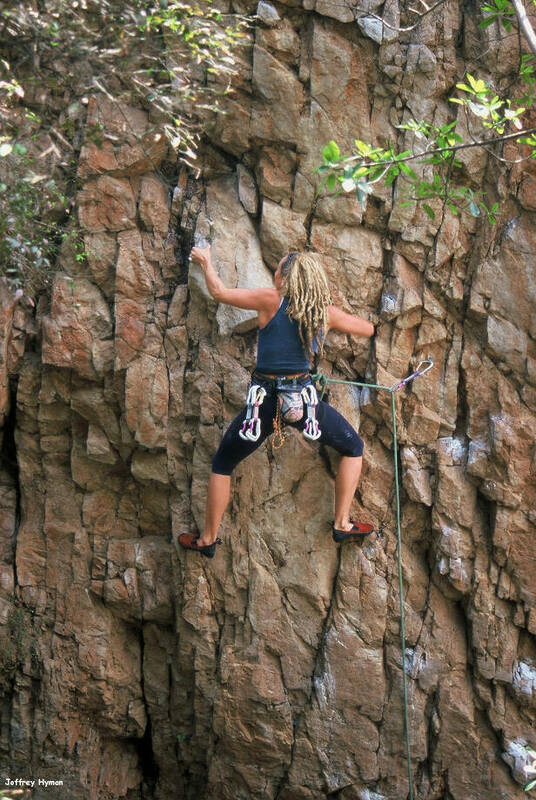 Climbing information The sport climbing area has over 20 fully bolted climbs ranging in grade from 19-32. The routes are generally short and bouldery, and with the good climbing starting at grade 24, this is not a venue for beginners. 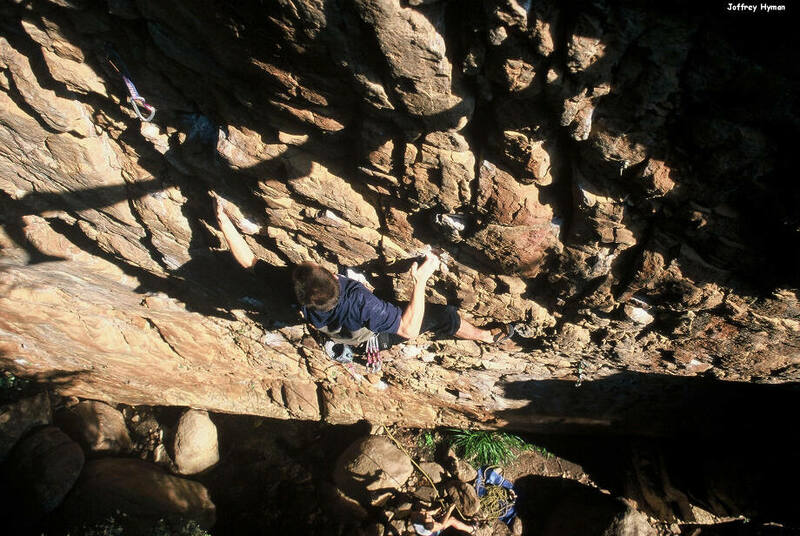 The narrow nature of the kloof means there is pleasant shade all year round with plenty of running water, though it can get quite cramped if there’s a big crowd of climbers. Despite the difficulty of the walk in to (and descent from) the traditional climbing area, those who tackle the steep terrain (make sure you have good hiking boots) won’t be disappointed. There are around 50 multi pitch routes, mostly in the moderate grade range. Child friendly Bergheim is a wonderful resort with convenient car camping, a large swimming pool for kids and a little shop to buy cold drinks and ice-cream. The walk in to the sport climbing area can provide a mini-adventure with natural pools. However, the traditional climbing area, due to the steep hike, is unsuitable for children. Swimming Yes. There are both natural pools in the kloof and a big swimming pool at the Bergheim Resort which day visitors may use. Camp fires No fires are permitted in the kloofs. Dangers Some of the cracks in the sport climbing area attract wasps, especially in winter. While this has not been a problem in the past, approach any hand jams with caution.